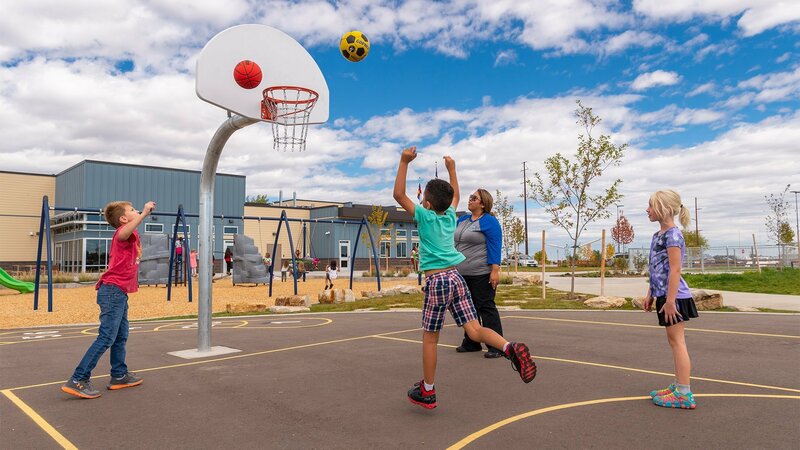 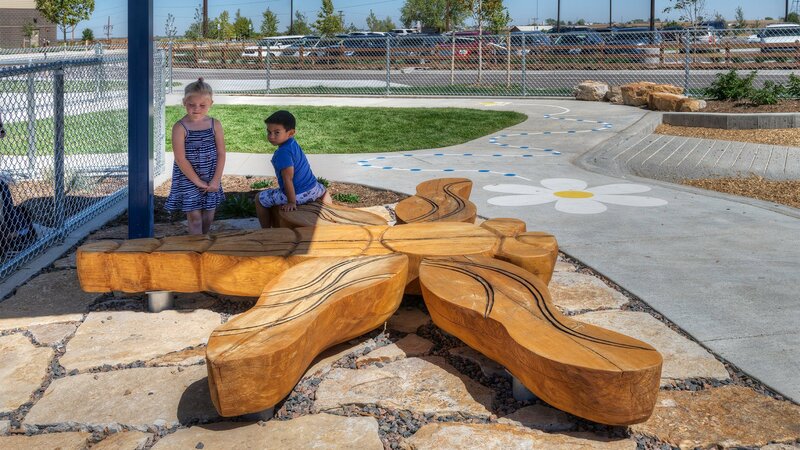 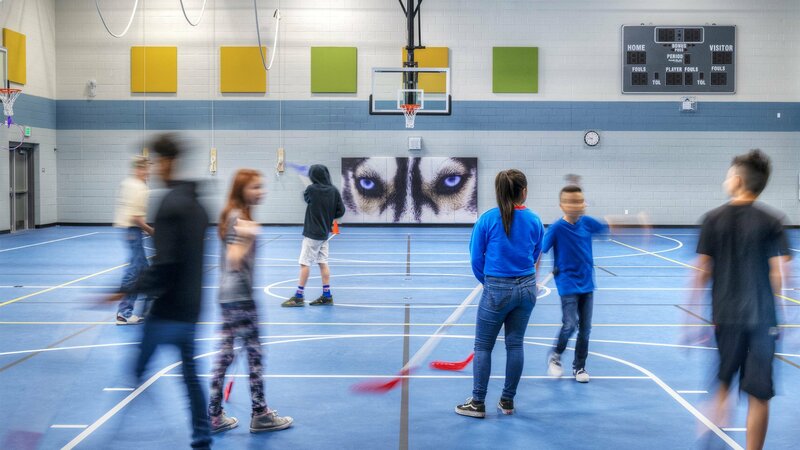 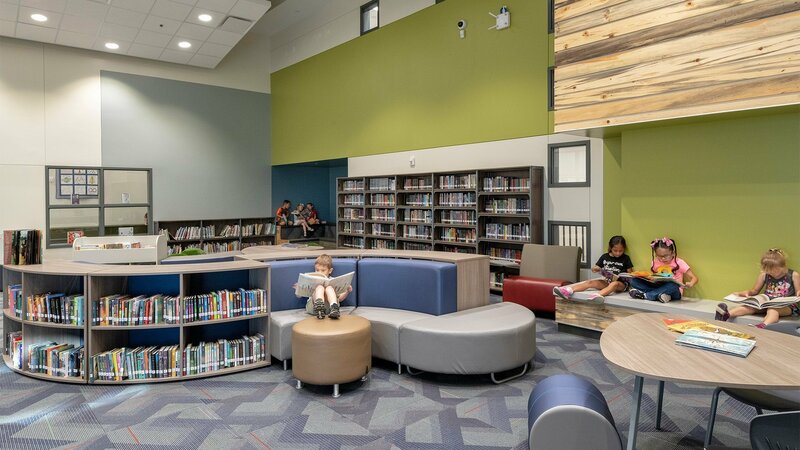 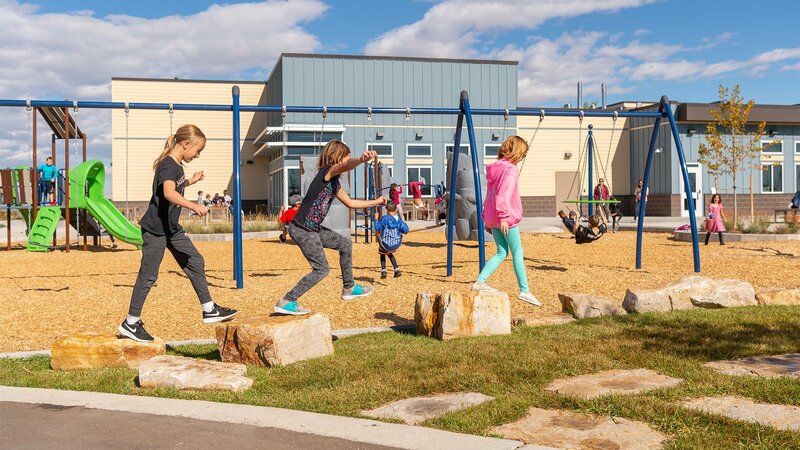 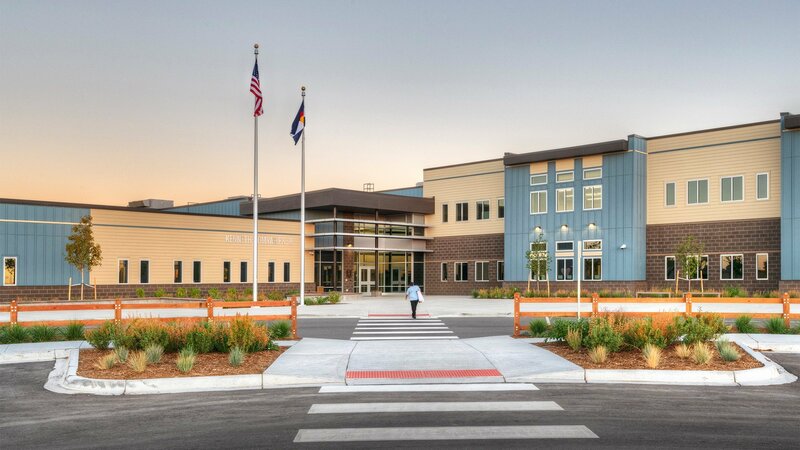 The Weld 8 School District Homyak PK-8 (Originally name Quest Academy), is a new two-round PK-8 school located in the Sweetgrass neighborhood of Dacono, CO. 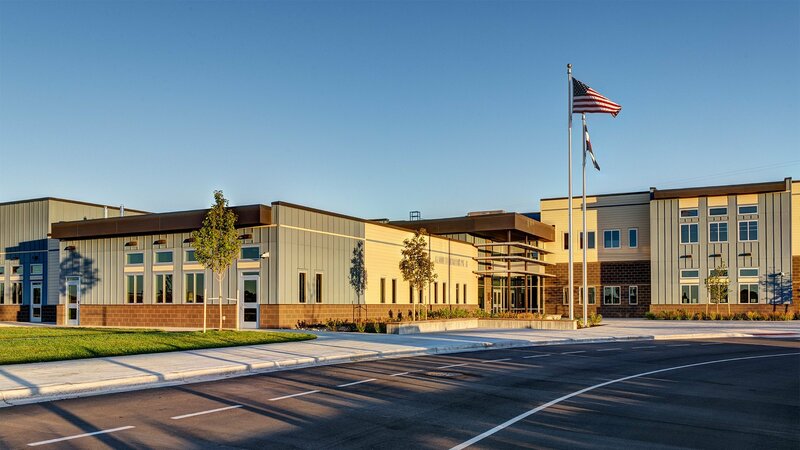 The current school is currently housed in a campus of modular classroom building. 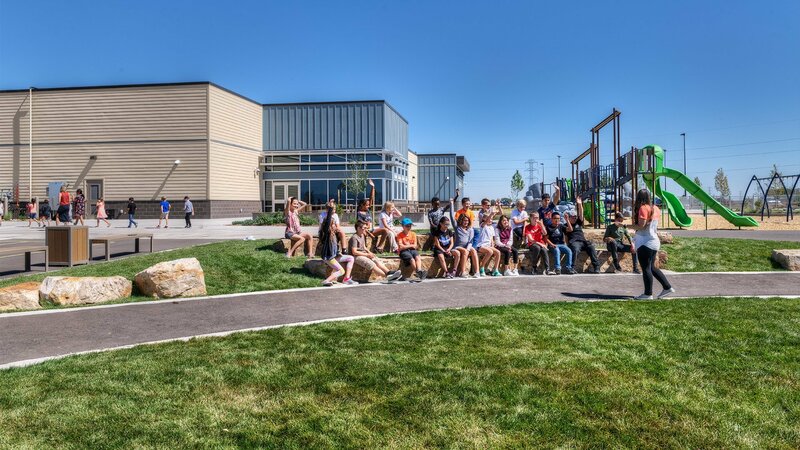 The new site is located 1 mile north and will allow the school to grow from 200 students to 400 students. 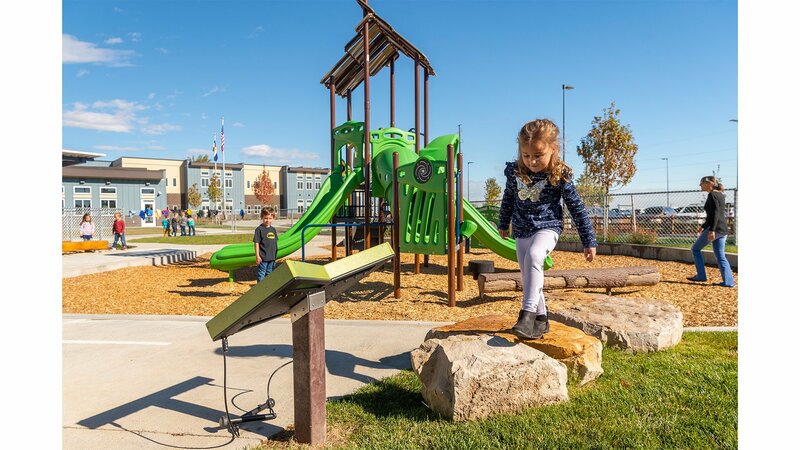 The 47,000 square foot school will be located on a 12 acre site that includes site amenities of age appropriate playgrounds as well as a multi-purpose grass field. 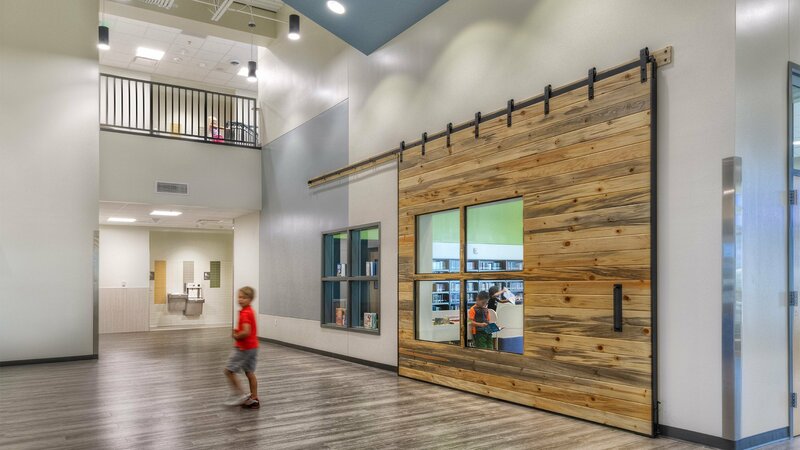 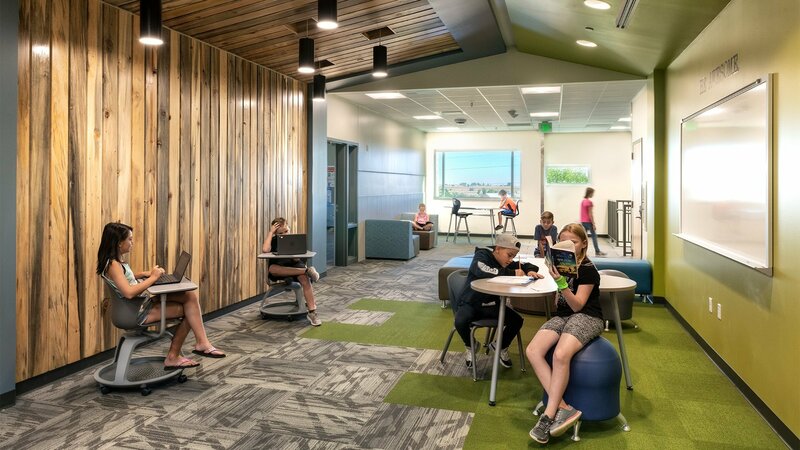 The school design was focused around the idea and concept that the school is a second home to the students. 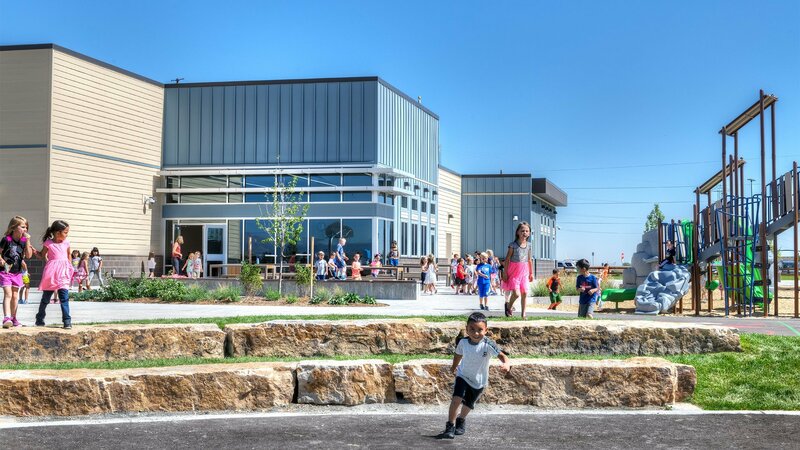 The architectural style and scale was influenced by the existing neighborhood as well as pays homage to agrarian history of the site.